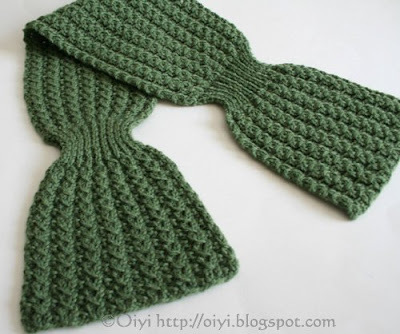 Oiyi's Crafts: Gasp! It's not for a baby! Gasp! It's not for a baby! My sister constantly makes fun of the fact that I knit only baby items. I can not deny it. It's true. I can't seem to finish any adult sized garment for myself. Sadly, I have a sweater I started in November that is destined to be frogged. Baby knitting is so much faster and way cuter. My excuse is that I have a cute baby to knit for and my friends can't stop having babies lately. Well, last month I did take some time to knit 2 scarflets for adults. I love using Blue Sky Alpacas Sport Weight to make scarflets. It's so incredibly soft and luxurious feeling. Using only 2 skeins is not going to empty your wallet, so it makes a great gift. 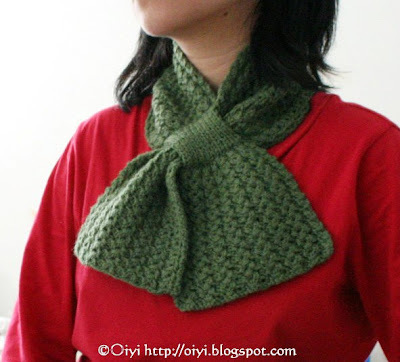 This scarflet is knit with 2 strands held together. The Melange colorways are beautiful and Cornflower Blue is Jen's favorite color. How lucky for me that they make that exact colorway called Cornflower? As you can see with her cute smile, she loved it. 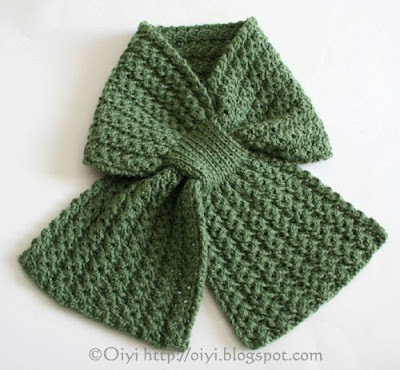 Pattern: I used the pattern called, Bow-knot Scarf as inspiration, but ended up doing it my own way. Mods: Yarn held doubled. I made eyelets on the petals portion of the scarf, and I did not decrease the stitches for the neck portion of the scarf. The scarflet only has one loop for tucking the scarf because I didn't think two was necessary. My Knitting Group decided to do a Secret Santa before the Holidays. We drew names before Christmas, but was going to exchange our gifts after the Holidays were over in January. We figured that we were all so busy with Holiday knitting and didn't need to stress ourselves out any further. Plus, it was fun to receive a gift in the middle of January. I received a beautiful cowl from my friend, Brooke, who now lives in Portland. I made this for Leila. 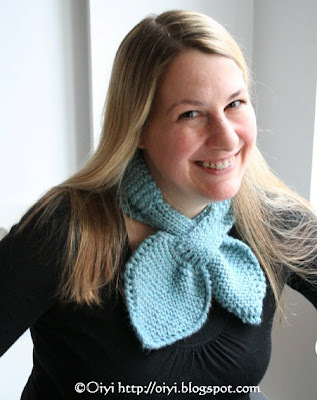 I held two strands of Knit Picks Essential together to knit this scarf. Knit Picks Essential is a sock yarn and even when held doubled, it was a tedious knit. I felt like it took forever, but I really like the lace stitch pattern (it's also reversible). The scarf wasn't that soft as I was knitting it and I was hoping that washing it in Soak Wash will soften it up. It didn't and I was disappointed. Maybe it's the yarn since I have heard complaints before, but it was fine when it was in the ball form. Then again it could be a gauge issue. 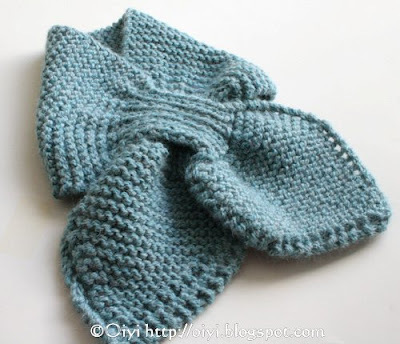 Perhaps I could have knit this with a larger needle so that it would lacier. Oh well, at the least the final result looked nice even if it is not as soft as I would like. It's not like it's rough or anything. As it turns out, Leila really likes green so it was the perfect color for her. Mods: I only made one loop for the scarf to go through. Suchi from the knitting group hosted the group in her apartment for the Secret Santa exchange, so I wanted to bake something to bring to the group. I made these cookies called Swedish Tarts. I don't know where the recipe came from. It was one of those things that I had cut and pasted it onto a Word Document and printed it up. I found it a few months ago amongst a pile of papers that I had to file. I think it's from a blog, but I couldn't find it when I did a Google search for Swedish Tarts. 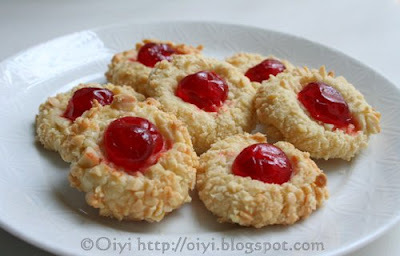 In fact, the recipes I found is nothing like these cookies. If anyone has seen this anywhere, please leave me a comment so I can credit the right source. Try it, you'll like it. Don't be put off by the candied cherries. The cookies are not very sweet, so the sweet cherry is perfectly balanced by the crumbly nutty cookie base. These are one of those cookies that I could over indulge in, so I was glad I left all the cookies at Suchi's. They go very well with a cup of tea. 2. Mix butter, egg yolks, sugar, flour, almond extract and salt together. 3. Shape into balls ( about an inch in diameter). 4. Dip into egg whites and then roll in chopped nuts. They should be completely coated. 5. Firmly press a candied cherry, cut side down, into the cookie (press hard enough to get it down there, but not so hard it starts to crack at the edges). 7. Bake for 15-20 minutes until they are a light golden brown. Let the cookies rest on the cookie sheet for 5 minutes and then remove onto a cooling rack to cool. Enjoy! And have a nice weekend! Lovely scarflets! I love the cornflower blue colour! And the cookies look delicious! Both of the scarflets are beautiful! What wonderful gifts. beautiful scarflets! i really like that shade of green. Oh they are beautiful, lovely gifts ! I love both of those scarflets. The green pattern is just gorgeous and the cornflower blue one is so cute. Nothing wrong with knitting baby items all the time either, I knit them and I dont have any little ones anymore but I know plenty of people who do. Your pictures are gorgeous...I feel like I can reach out and eat those cookies. Yum! Lovely scarflets. I am not a big fan of dusty blue, but yours is perfect. And I want those cookies too.. The scarflets are really nice. It's a shame the green one didn't end up being as soft as you had hoped. The pattern on it is very pretty though. And yum! Those cookies look delicious - thanks for sharing the recipe. Oh yeah, she loves her scarf! I recognize that kind of smile from some of my recipients. The photos ARE beautiful! Who is that hot babe with the cornflower blue scarf? She looks great!!! I think it's really funny that we've been knitting the same scarflets, 3000 miles apart, without knowing it! There must be some kind of gravitational force at work! I love those bow-tie scarves! Lovely scarves! I made 2 of those too ... but that was ages ago. They are very practical. What a cute scarf pattern! It's unlike anything I've seen before. Very very pretty - those look like great gift projects. Beautiful scarves, that cornflower blue is such a pretty colour. I just wanted to say hi. I was at the Sit n' Knit party today. I was sitting on the other side of Tomo. Our daughters are the same age. It is actually funny because I have been reading your blog for a long time, but never commented. So i just wanted to say hi. Those cookies look yummy too. I might try it this weekend. Thanks for the recipe! Its an innovative design - the loop over scarves! 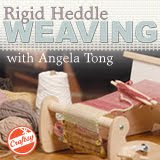 How did you find all the time to knit? Lovely post. I can sooo relate, I'm an avid baby knitter as well (for my many friends having babies). Very cute scarf and kudos to you for knitting something for adults! the scarves look great! i love the green one.